Made from the purest ingredients, plant extracts, vegetable and nut oils, and from the highest-quality essential oils used for millennia, Rosemira's products are scientifically sound, and that is only part of what I offer. My formulas are also deeply rooted in my certified credentials and knowledge of herbs, nutrition and Chinese Medicine. I combine my ingredients and knowledge with intuition--one based on decades of experience. My products are designed to help protect and balance your skin. Give my potions a try. I promise you'll love them. We all wish for and deserve healthy, radiant skin. I'm here to assure you have all the proper tools to achieve that goal. Rosemira is a proud member of PETA and Leaping Bunny and we have been awarded the Green America Seal of Approval. We are also one of only 322 companies to be honored with The Environmental Working Group title of "Champion" in the Campaign for Safe Cosmetics. 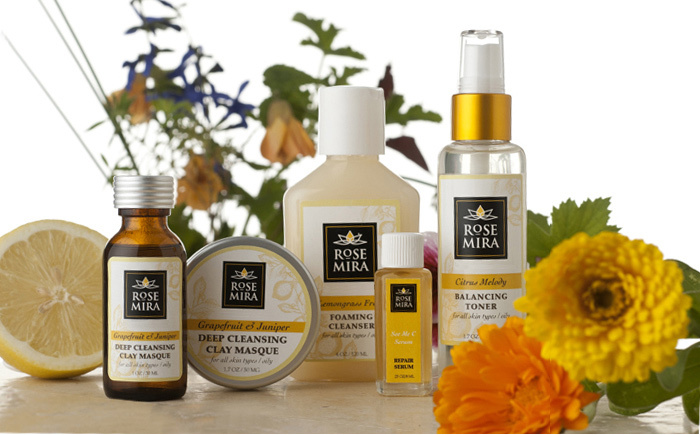 Enjoy Rosemira's products with confidence, knowing our line represents the highest standards of care, commitment and integrity.